Josephine Baker is a pioneer in the education reform landscape and an unstoppable force in the charter school movement in the District of Columbia. Committed to always serving the best interests of children and families, Baker was a founding member of the DC Public Charter School Board (PCSB), where she later assumed the role of executive director in 2002. She has been an integral part of the growth and success of the charter school community in Washington, D.C., earning praise from charter school advocates across the country. Under her leadership as Board Chair and then Executive Director, the DC Public Charter School Board grew stronger in both size and strength. Charters have provided a healthy alternative to parents eager to escape bad schools, thus helping spark the education reform that has brought marked improvement in the traditional schools. Charter schools continue to grow in popularity; this year, 46% of D.C. public school students attend a public charter school. Baker's commitment to the charter movement extends far beyond Washington, D.C. In 2001 she was elected a founding member of the National Association of Charter School Authorizers. Baker's expertise and knowledge of charter school authorizing has been tapped nationally, where she has been a presenter to many state board of education commissions, state legislatures, and task forces dealing with charter school issues. Baker has deep roots in D.C. public education. She was educated in D.C. Public Schools, taught elementary school in DCPS for 25 years, and supported the education of each of her three children in DCPS schools. She served as Associate Professor at the Graduate School of Education and Human Development at George Washington University for four years, teaching aspiring teachers. In 2009, Baker was inducted into the Charter School Hall of Fame by the National Alliance for Public Charter Schools for her pioneering efforts in the development and growth of charter schools and for her inspiration to others in the charter school movement. Robert Cane was the executive director of FOCUS from 1998 to 2015. In that capacity Robert served as the principal advocate and spokesperson for the District’s public charter school movement, the most vibrant in the country. Cane also acted as the charter schools’ legislative watchdog, defending the District’s strong charter school laws against repeated attacks and writing and seeing through passage many amendments that were sought by charter school leaders. Supported by a talented staff, Robert also built FOCUS into one of the nation’s premier charter school advocacy and support organizations, whose efforts in quality charter school startup and school support have been nationally recognized. A lawyer by training, before getting involved with the D.C. charter schools Cane worked at two large law firms and spent nine years in law school teaching and administration. In the early 1990’s, having developed a strong interest in public education reform, he enrolled in a doctoral program in education policy. Concurrently, he took on a full-time assistant principal internship at a 1200-student high school in Virginia. A year later he moved on to an assistant principalship at another high school and two years after that became principal at yet another large Virginia high school. Cane, an honors graduate of Stanford University and Northwestern University School of Law, now makes his home in Reno, Nevada. Ms. Gutiérrez the President Emeritus & Founder of the Carlos Rosario International Public Charter School, has spent close to 44 years as a counselor, principal, advocate, and organizer to more than 80,000 adult immigrant students. Ms. Gutiérrez began her career in DC Public Schools in 1972 as a counselor of the Program for English Instruction to Latin Americans (PEILA). There she began her mission: to provide holistic education to adult immigrants with little formal education in their native countries, enabling them to succeed by addressing their social and academic needs. In 1972, Ms. Gutiérrez became the Director of PEILA and transformed the small, under-funded ESL program into a comprehensive adult education program. In 1976 Ms. Gutiérrez was instrumental in the writing of legislation and in the establishment of the DC Office of Latino Affairs. In 1977 she founded the Council of Latino Agencies. After a financial crisis in DC in 1996, Ms. Gutierrez worked out of the basement of her home and raised $100,000 dollars from local foundations to reopen the school as the non-profit Carlos Rosario International Career Center. The new school opened its doors in 1997 with Ms. Gutierrez as Executive Director & Founder. Recognizing the tremendous need for additional classes, she actively sought public charter school funding; in 1998 the school became the first adult public charter school in the nation. From 1997 to 2003, the school expanded from one small site to six different sites around the community; in 2003 Ms. Gutierrez was able to secure and renovate an $18 million facility to bring the six sites together. Today, with an additional campus in Ward 5, Carlos Rosario International PCS provides classes to more than 2,500 students in ESL, GED (in Spanish and English), technology, citizenship, culinary arts, nurse aide, family literacy, and Spanish. In 2005 the school received full accreditation from the Middle States Association and in 2006 also received a mayoral award as one of the 10 best charter schools in the city. Ms. Gutierrez has received many awards for her work and commitment to the Latino community, including the In Her Honor Award from the Community Arts Collective; the Cornelius R. “Neil” Alexander Humanitarian Award from the DC Commission of Human Rights; the Hugh A. Johnson Memorial Award from the Hispanic Bar Association of Washington, DC; and the Administrator of the Year Award from the Commission of Adult Basic Education. Most recently, Ms. Gutiérrez received the American Dream Medallion of Excellence in Education from the Congressional Hispanic Caucus Institute. On June 5th of this year Mayor Bowser and the DC City Council named the 500 Block of V Street, NE as the Sonia Gutiérrez Campus Way. Ms. Gutierrez is the only Latino in DC to have an honorary street with her name. Donald L. Hense founded Friendship Public Charter School in 1997. Thanks to Mr. Hense’s vision and relentless insistence on excellence, thousands of District students have achieved academic success with the nation’s best educators and administrators directing students to college and a rewarding future. Friendship Public Charter School now operates nine public charter school campuses in Washington, DC and has partnerships with schools in Baltimore, MD and Baton Rouge, Louisiana. Mr. Hense’s service has extended to the District and well beyond its borders. In addition to serving as the Chairman of the Friendship Public Charter School Board of Trustees, he is the Treasurer of the Board of Directors for the DC Association of Chartered Public Schools, a member of the Board of Directors of the Center for Education Reform, and a member of the Board of the Children & Youth Investment Trust. 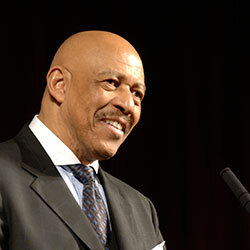 He previously served as Director of Development of the Children’s Defense Fund; National Vice President for Development of the National Urban League in New York; Vice President for Development of Prairie View A&M University and Texas A&M University System; Director of Governmental Relations at Dartmouth College, Boston University, and Howard University. He is also the co-founder of the Bridges to Friendship Initiative, which was highlighted by Vice President Gore at the White House Summit on Community Empowerment as a model initiative. Mr. Hense’s dedication and achievement have been widely recognized. 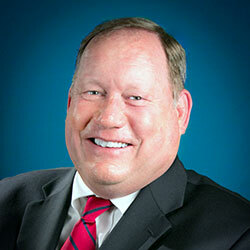 In June of 2011, Mr. Hense was inducted into the Hall of Fame of the National Alliance of Public Charter Schools. He was among selected Washingtonians showcased in the Choosing to Participate: Portrait of Courage Exhibition, which highlighted how civic choices shape individuals as they grow into active community members and global citizens. In celebration of Black History Month, Mr. Hense received the Amtrak Pioneer Award from the Washington Wizards to honor African Americans who have made outstanding contributions to the greater DC community. In 2015, Mr. Hense was inducted into the Washington, DC Hall of Fame, which recognizes District of Columbia residents who have had an outstanding impact on the city and individuals from the Region who have significantly contributed to the city. Mr. Hense is a graduate of Morehouse College and received one of the most prestigious awards offered by Morehouse College, the Bennie Award for Service, which honors alumni who have performed great acts of service to others. He also received the Presidential Award of Distinction. He attended graduate school at Stanford University where he was a Ford Foundation Fellow. He was a Rockefeller Intern in Economics at Cornell University; a Merrill Scholar to the University of Ghana; and a Lecturer at the University of California, Berkeley. Jack McCarthy is President and CEO of AppleTree Institute for Education Innovation and AppleTree Early Learning Public Charter School. After seeing the number of children entering high school reading at a 5th grade level, McCarthy asked, "What if we could provide these children with quality early learning from the start so they could enter kindergarten ready to thrive?" McCarthy concluded that the place where he could make the greatest impact was in creating preschools that could erase the achievement gap before children even entered kindergarten. McCarthy co-founded AppleTree Institute in 1996 and has supported the creation of Washington Mathematics Science Technology PCS, Cesar Chavez Public Policy PCS, and Paul PCS, as well as AppleTree PCS. The Center for High Impact Philanthropy featured AppleTree for its effectiveness as a "Nonprofit Making An Impact," citing that children attending AppleTree preschools, regardless of family income levels, advanced their learning and skills leading up to kindergarten. Students with risk factors for lower achievement, in particular, showed greater rates of growth in literacy and math skills, performing close to national averages on commonly used tests. AppleTree's instructional model, Every Child Ready, includes a fully developed curriculum, comprehensive training and professional development for teachers, and data-driven tools to monitor each child's progress and tailor instruction to meet their needs. Under McCarthy's leadership, AppleTree has grown as an enterprising leader in the field, with 175 staff and a growing impact on policy and practice. In 2010, AppleTree Institute won a $5 million US Department of Education Investing in Innovation ('i3") development grant for Every Child Ready. Today, AppleTree educates more than 1,200 children across 10 charter preschools in high-need neighborhoods. Every landscape needs a person willing to take "The Next Step" and Julie Meyer, whose leadership over 13 years at The Next Step Public Charter School, is that person. 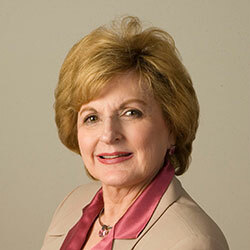 During Meyer's tenure, she oversaw significant growth at the school, including the purchase and renovation of a beautiful building; an increase in enrollment to serve nearly 500 students annually; the expansion of program offerings to include evening classes and robust student support and career preparation services; and the attainment of Tier 1 status on the DC Public Charter School Board's Performance Management Framework - all while maintaining a nurturing environment and mission-driven focus. In leading The Next Step Public Charter School, Meyer recognized the tremendous opportunity in the District to create a model system for alternative and adult education programs. The Next Step PCS educates students ages 16-24; the average student is 21.6 years old. Over the years, this Tier 1 school has managed to create a school environment that led to achieving an 88% student retention rate throughout the 2016-17 school year. This is the highest retention rate among all the adult education public charter schools. Meyer's investment in these educational outcomes enriched the civic landscape as well, including improved job prospects for disconnected youth, increased participation in voting, decreased costs for city services, and more. 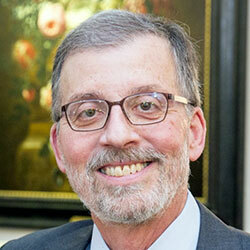 Meyer exemplifies the role that strong leaders have within public charter schools. Leaders like Meyer create and uphold a nurturing school culture, attract and retain great teachers, and set high expectations. Meyer is a testament to why we invest in leadership and develop the supports that our charter schools need and deserve in order to thrive in an ever-changing landscape.
" Every student can succeed academically and become a responsible citizen.
" Every student needs a solid foundation in reading, mathematics, social studies, science, and the arts.
" Every student can contribute to the community through service activities that prepare that student to become a caring neighbor and responsible citizen. Since its founding in 1998, the Stokes School has prepared culturally diverse pre-school and elementary school students to be leaders while teaching them to think, speak, read, write, and learn in multiple languages. Throughout her career, Moore has designed and provided professional development programs for educators and community leaders throughout the United States, focused on working effectively in multicultural settings on behalf of children and families. A tireless advocate and leader, Moore has served on the FOCUS Board of Trustees, the D.C. Charter School Association Board of Directors, and as the chairperson of the D.C. Special Education Cooperative. 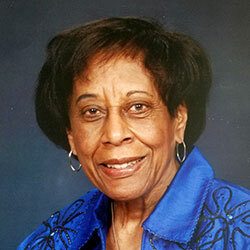 She has been recognized locally and nationally, including an induction into the National Alliance for Public Charter Schools' Hall of Fame in 2013, an honor that affirmed a vision for developing a new generation of scholars and global citizens who are committed to social justice and prepared to be the leaders required by our communities, our nation, and our world. Mr. Peabody’s career has combined a successful real estate practice with work in public service and charitable institutions. After graduating from Harvard Business School in 1952, and a short stint with a small business in Boston, he became the Executive Secretary of the New York State Commission Against Discrimination. Later he moved to Massachusetts where he worked in civil rights and housing, both at the city level where he worked for the Boston Redevelopment Authority as a specialist in minority housing and at the state level where he was the advisor to his brother, Governor Peabody, on civil rights and low-income housing. In 1968 Mr. Peabody moved to Washington, D.C. where he served as Deputy Assistant Secretary for Equal Opportunity at the Department of Housing and Urban Development, in which position he launched HUD’s first trial of housing vouchers allowing HUD clients choice in housing. This experiment led eventually to the current Section 8 housing allowance, which currently funds over one million low-income families who would otherwise be located in public housing. In 1973 he started a real estate development business in Washington, DC, which continues to the present time. 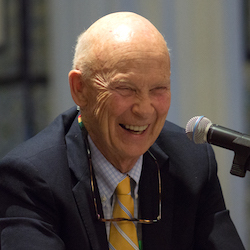 For two decades, Mr. Peabody devoted considerable time outside his business to developing the Washington International School, where he was Board Chair for 11 years until 1995. In that same year, he founded Friends of Choice in Urban Schools (FOCUS), with the mission to establish the public charter school movement here in the nation’s capital. Through FOCUS, he worked with others to pass the School Reform Act of 1996, which established the public charter school program in DC. DC’s charter movement has just been cited as the best performing among the 43 states with charter schools for the second year in the row. The original charter school law for DC had no provision for financing facilities for schools, so in 1998 he worked with the U.S. House Appropriations Committee to amend the Act to add such financing, and later with the DC City Council to develop the funding formula that now provides over $3,000 per student, or over $100 million annually to the more than 39,000 charter students. Currently, he is on the board of the D.C. Promise Neighborhood Initiative in the Kenilworth neighborhood which is seeking to replicate the results of Geoffrey Canada’s Harlem Children’s Zone in New York City. 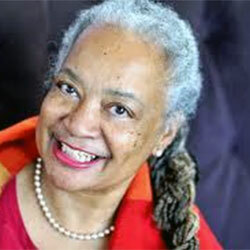 Cassandra Pinkney (1948-2016) was educated in D.C. Public Schools. She began her career in the Prince George’s County Public School System as an educational aide and went on to earn an undergraduate degree from Howard University, followed by Masters degrees in Early Childhood, Special Education, and Human Development from George Washington University. After spending more than a decade working in the community, including running educational advocacy seminars and parenting classes for young mothers and fathers, and working with infants withdrawing from congenital drug addiction at Howard University Hospital, Mrs. Pinkney re-entered the D.C. Public School System to become the District’s Coordinator for Early Childhood Special Education Services. She took the position to ensure that the District’s young children with special needs would receive the best possible attention and education, including timely assessments and support services. After three years of working within the existing system and feeling no nearer to her objective, Mrs. Pinkney decided to open Eagle Academy Public Charter School. It was then that she formed a partnership with Dr. Joe Smith, an educational research professor, to create Eagle Academy Public Charter School, which has grown to two campuses in Washington, D.C. (one in Ward 6 and the other in Ward 8) and over 900 students in PreK-3 through third grade. Mrs. Pinkney’s vision in the design of the Ward 8 campus and engagement of the community was instrumental in reducing the crime rate from 1.5 crimes per day to a total of two crimes last year in the same area. The daughter of Mexican immigrant farm workers, Irasema came to the United States at 14 years old. She received a B.A. in Business Administration from California State Fullerton and a M.A. in Education from the Harvard University School of Education. 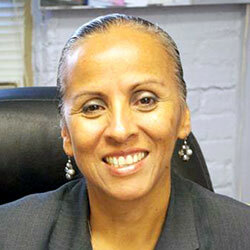 Salcido has been a D.C. educator for almost thirty years. 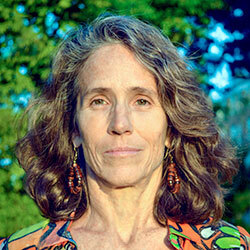 In 1998 she founded the Chavez Schools in Washington, D.C. Her goal was to ensure that all students, regardless of their backgrounds, would have access to a high quality education that prepared them to graduate from college and give back to their communities. Chavez serves 1,300 students grades 6-12 on three different campuses. Prior to founding the Chavez Schools, Salcido worked for nine years in the DC Public School system. In 2009, Salcido developed the DC Promise Neighborhood Initiative (DCPNI). The initiative provides wrap-around services for children 0 – 23 years old who live in the Parkside-Kenilworth Community in Ward 7. Over the course of her career, she has received several honors and awards that include being designated by the Caring Institute as one of the “Six Most Caring Citizens in the U.S.” Salcido also received the “Use Your Life Award” from Oprah Winfrey’s Angel Network for her dedication to the students of the Chavez Schools. Most recently, in 2013, Ms. Salcido was recognized as a Washingtonian of the Year for using her life to help make the Washington area a better place to live; in 2014 she was featured for her work on the Visionaries 19th Season in Public Television; and in 2015 she was inducted into the Santa Ana College Hall of Fame. Salcido retired in 2015. Continuing her tireless commitment to community service, Salcido has served in several advisory roles on several boards since then. 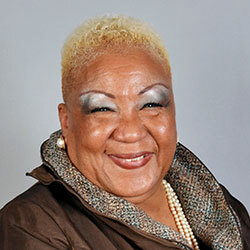 Currently she serves as a member of the Advisory Committee of the DC Local Initiative Support Corporation (LISC); of the Board of Directors of LearnServe International; of the Board of Directors of Cesar Chavez Public Charter Schools; and as a trustee of the St Albans School Governing Board. Salcido is married and has five children.